In their daily life people usually compare different persons in order to demonstrate that someone is endowed with a given set of moral or physical qualities, and another one is not. School essays dedicated to comparison of two characters are written in a different context. Their goal is not only to describe two persons, to trace their actions, but also to shed some light upon the literary work in question, upon its message and main idea. By writing an essay comparing two characters you will need to show your ability to analyze their action, words and the message embodied in each of them. Let’s now turn to the essence of your task. Usually such essays compare two positive characters that exemplify supreme moral ideals. Despite that, sometimes it is possible to compare one positive and one negative personality. Remember that it is not obligatory to criticize the negative character in question, but you rather need to explain his/her action, the motives and reasons for them. There cannot be any absolutely positive literary character (except in fairytales). In all cases, what you should do is to analyze the character in question and to try to relate him/her to a given social, cultural, historical process or event. In short, the best way to write such an essay is to see the character as an implementation of the “spirit of time”, and thus to compare it with another one. The best way to write an essay comparing 2 characters is to see the character as an implementation of the “spirit of time”, and thus to compare it with another one. 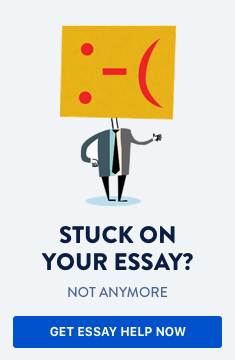 The following instructions on how to write an essay comparing two characters will assist you in your assignment. Whether you have read them or not, it is important to read them again and to focus your attention on the given personalities. Write down everything which you consider impressive and important about them such as physical appearance, way of speaking, actions, values and beliefs, personal traits, etc. If you have an opportunity to choose your topic, it is better to select two characters that you know very well. Try to relate both characters to it: poverty, freedom, love, friendship, and other topics. For instance, Hamlet and Faust are lonely men who eager to know more; Hamlet wants to know about the murderer of his father, and Faust is keen to know more about the world. Although the historical eras and the cultural background of both personalities are quite different, they can be still compared as two of the leading characters of the European literature since the Renaissance period. Prove your observations by referring to quotes from them. Tell what are their motives, goals in life (or in a given situation), how are they perceived by the other characters, and so forth. Tell what seems similar in them (particularly their personal traits and qualities). Concentrate your efforts on a few points. It is not good to go into detail here. You can use two qualities of the persons and to prove them by quoting passages from the text. Do the same as given above. Show that the characters differ in some way. Just think: is there anyone who is absolutely similar to anyone else in real life? In your conclusion, say a few words why these characters can be associated with each other. What ideas they embed? To what extent these ideas are materialized in them? Remember all the time that you have to prove your thoughts and theses by referring to quotes, passages and critical remarks done by renowned literary critics. You cannot simply say that Faust is a “lost soul” because he made a deal with the Devil. The best literary characters are the most difficult to be analysed, so be aware of this.